Karuna Buddhist Vihara (KBV) was founded in 2012 as a neighborhood monastery where Theravada bhikkhunis live, where women train to become bhikkhunis, where meditation and Dhamma teachings based on the Pali Canon are offered to the public, and where traditional chanting and ceremonies are conducted. KBV is incorporated as a non-profit, tax-exempt Buddhist church in the state of California. Currently, KBV has two residents: Santussikā Bhikkhuni and Cittānandā Bhikkhuni. The intention at KBV is to strive as diligently and energetically as possible for the realization of Nibbāna and to help as many people as possible to improve their lives and do the same. As the citta (heart/mind) develops in sīla (moral virtue), samādhi (meditation) and paññā (wisdom), mettā (loving kindness for all beings) and karuṇā (compassion) blossom as well. At KBV, the intention is to share these qualities and this experience along with the example of living a simple life. The inspiration for this way of living has been the many good monks and nuns that the residents of KBV have lived with and learned from over the years, as well as the Buddha himself. To that end, the nuns at KBV study the Pali Canon, the Vinaya and the Pali language and practice the Noble Eightfold Path with diligence. 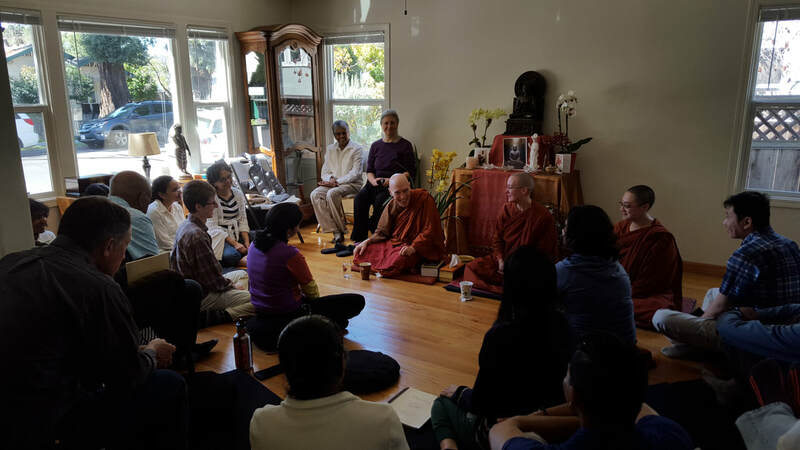 At its Mountain View location, KBV holds public weekly chanting, meditation and sutta study sessions, daylong meditation retreats and other Dhamma programs, as well as traditional Buddhist observances, such as Vesākha Pūjā and Kathina. KBV’s abbess and founder, Ayya Santussika Bhikkhuni, meets with people for spiritual counseling on request. She also offers meditation instruction, Dhamma talks and retreats at a wide variety of venues outside of KBV. She leads the East Bay Dhamma group meeting monthly in Berkeley. She also serves as a regular co-teacher for the San Jose Dharma Punx, the “Nuns Sharing Dhamma” program at the Berkeley Buddhist Monastery, and the “Dhamma Tuesdays” program at Wat Buddhanusorn in Fremont, California. KBV also engages in activities to promote wholesome action on behalf of the world’s poor and for the benefit of the common good. 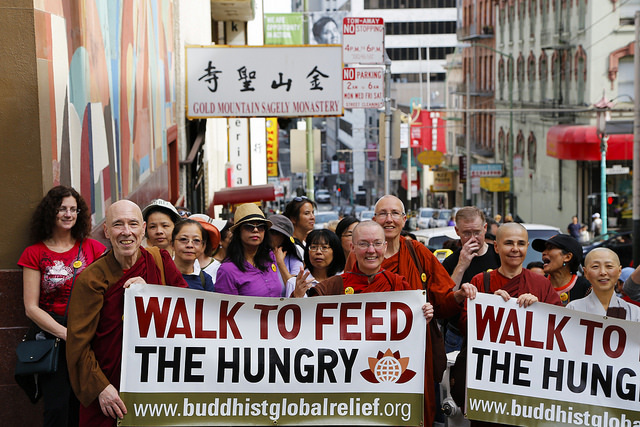 These activities have included organizing fundraising “Walks to Feed the Hungry” in San Francisco, San Jose, Sacramento and Escondido, California for Buddhist Global Relief, a charitable organization focused on relieving chronic hunger and malnutrition. Since KBV began, the community of participants has steadily grown and is uniquely diverse with people representing a very wide range of ethnicities, ages and backgrounds. The common theme is interest in traditional Theravada teachings from the Pali Canon as practiced and presented by ordained monastics in English as they relate to modern Western culture. 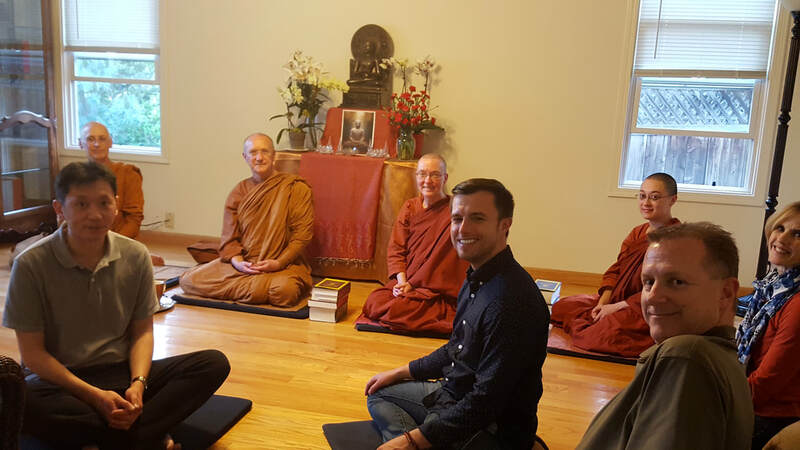 KBV's growth has allowed us to reach our mid-range vision of renting a larger vihara that can house three bhikkhunis and accommodate gatherings of 20 people for meditation or 40 for Dhamma talks and ceremonies. We have moved from the apartment to a house in Old Mountain View, a neighborhood located a few blocks from Castro Street downtown, and an easy walk to the Mountain View Transit Center (Caltrain, buses and VTA lightrail stations). It is now possible to host day-long or longer non-residential retreats, which you can find scheduled on the calendar. The long-term vision is to locate in a facility suitable to house five bhikkhunis in the resident community and have a separate space to accommodate two visiting monastics, either male or female, plus a Dhamma hall large enough to seat 70. 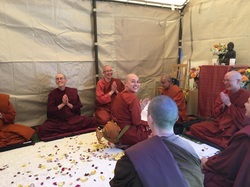 With more bhikkhunis, the range of offerings and services for the public will expand according to their strengths and interests. This might include such things as a youth program, Pali classes, or regular tea and Dhamma discussion meetings, and would include regular morning and evening meditation sessions open to the public. The intention is to remain on the peninsula between San Jose and San Francisco, easily accessible to those who are interested, and for the bhikkhunis to continue to live as simply as possible, providing a striking counter-example to what most people in the area are experiencing.